The practitioners listed in our database have a good understanding of Seagreens products and their uses. Please click here. If you would like to discuss any matter please contact Seagreens Information Service. Jules Chandler Dip CNM, mBANT, CHNC, MTI Nutritional Therapist - Bristol centrral, Keynsham, and Knowle. Jules is a registered Nutritional Therapist providing evidence-based nutritional therapy from a naturopathic, person-centred approach. She is a member of BANT, CHNC, MTI, The World Health Heroes and is a Clinical Supervisor at The College of Naturopathic Medicine. Jules facilitates free monthly thyroid support groups, holds quarterly talks on ‘all things thyroid’. She is running a Thyroid Conference in Bristol on October 20th - click here for details. I am passionate about thyroid health. I have came to realise there is no-one who knows all the answers but I have personal thyroid experience, both as a practitioner and as a client. Plus, I’m a Total Thyroid Geek! So…what is a thyroid condition? Thyroid dysfunction, in my humble opinion, is the most undertreated condition in the UK at this time. Hypothyroid (underactive), hyperthyroid (overactive), Hashimoto’s (autoimmune), Graves’s Disease (overactive), toxic nodules, viral thyrotoxicosis, postpartum thyroid, the list of thyroid diseases is endless, but the symptoms are similar with most types, whatever the causation. Symptoms will manifest in the body either metabolising too quickly or too slowly. An underactive client will typically present with weight gain, constipation, tiredness and hair loss and the doctors seem to be at a loss when symptoms other than this present in clinic; e.g. there are slim underactive thyroiders, there are overweight overactive thyroiders and vice versa. There are thyroid clients who can function mentally extremely well and there are others existing in a constant battle sea of brain fog or debilitating anxiety. For some, muscle pain is an issue, whilst for others, there is not even a hint of post-exercise malaise or lack of recovery. If the body is the orchestra then the thyroid is definitely the conductor, keeping pace and noting when things need to slow down or pick up speed. Thyroid hormones control many of our major cellular metabolic processes via the synthesis, storage and release of thyroid hormones (T4, T3, T2, T1, T0 and calcitonin). Is it any wonder that when we see a thyroid client who is struggling, the symptoms lay within all of the systems; brain fog, muscle pain or weakness, constipation, fatigue, the list is endless. The synthesis of a thyroid hormone begins when the hypothalamus responds to sensory input from the environment (e.g. the modern tiger aka 6012 emails!). The pituitary gland is prompted to release thyroid stimulating hormone (TSH) in order to synthesise thyroxine in the thyroid gland. Then, the biochemical magic really begins…. Wiith the help of thyroid peroxidase enzyme (TPO), tyrosine is joined by an iodine atom, creating a compound, known as monoiodotyrosine (MIT). It continues to add further iodine atoms together until reaching four in total thus becoming thyroxine (also known as T4!). The thyroid gland will release 80% as t4, 16% as t3 and the remainder as t2 and t1 hormones (Peatfield, 2006). T4 is a storage hormone travelling on its merry little way via the bloodstream to peripheral conversion sites, mainly in the liver, where an iodine atom is cleaved by a selenoenzyme to become T3 (triiodotyrosine). T3, the true hormone, four times more potent than T4, then enters every cell in the body enabling every wonderful metabolic process that most of us take for granted. I see more autoimmune cases than anything else in clinic. A classic case of gut permeability and the immune system going totally haywire, at (Campbell, 2014) tacking the TPO or TSI receptors and creating havoc. Add a ton of stress as a driver, a predisposition to autoimmunity and some foods that give our client little nutrient density and it’s a recipe for disaster. (Vanderpump, M 2011). There is much success in implementing the 4R protocol and I have seen astonishing results where antibodies hit the floor after just a few months with gut healing work. This simple protocol involves a four-stage gut healing process; REMOVE foods, pathogens, bacteria or parasites that may be damaging the gut, REPLACE any digestive components that may be missing; stomach acid, digestive enzymes, REPOPULATE with probiotics and REPAIR with specific supplements and foods to rebuild intestinal lining. (Rapin, Wiernsperger, 2010). Another common puzzle is when client’s labs present with a high T4 and low T3 - a suggestion that there is a lack of conversion between T4 and T3. Many times, there is an oestrogen or cortisol dominance, preventing the T3 reaching the cell receptors. Lifestyle management and stress reduction can help hugely and often there is insufficient nutrient density and a lack of nutrient co-factors to achieve conversion so its back again to the classic 4R. A polymorphism of the D102 gene may be a factor, disabling the client’s ability to convert Levothyroxine to T3 resulting in a high T4 and low T3 (Wartofsky L, 2013). Reverse T3 can be an issue for some people with extreme stress. The body will not accept and convert T4 so easily in times of challenge and in this case, the T4 will convert to reverse T3 thus showing classic hypothyroid symptoms with euthyroid lab work. Then, there are those without a thyroid, like myself. Clients who have had Graves’s disease and a total thyroidectomy, atrophied thyroids; reliant on levothyroxine, the 1960’s one-size-fits-all wonder drug meant to replace endogenous T4. For many people, it works and others have had to find ways around it. Get the permeable gut tight, efficient, ‘ship shape and Bristol fashion’ as we say here in the South West! Reducing any stress load is next, hyped adrenals are not good with a dysfunctional thyroid function. They are best buddies and bounce off each other, altruistically helping each other out in times of need yet compromising and damaging themselves in the process. Adrenal recovery is key here (Seck-Gassama, 2000) alongside optimisation of conversion of the synthetic T4 to T3 with selenium and zinc. If you still have a thyroid, I believe you’re in with more of a chance, encouraging it to make its own endogenous thyroxine again. Making sure the gut is tight is still number one on the list as nutrient density is essential, particularly tyrosine (Palinkas, Reedy, Smith, 2007). The most bioavailable source comes from fermented kefir milk. Phenylalanine is useful as a pre-cursor to tyrosine and can be found in avocado, banana, brown rice, cheese, eggs, lentils, meat, nuts, fish and soy beans. Controversially, iodine is number two on the list. If a client is deficient in this, they will not produce enough T4 or T3 (Hye Rim Chung, 2014). When there isn’t enough iodine in the body, the thyroid will swell in order to trap any spare iodine floating about the place resulting in a goitre. This does not mean that each goitre is due to there not being enough iodine. Remember there are lots of reasons why a thyroid creates havoc. Placing an iodine supplement into your client’s eager hands is not always the best idea. It needs to be done in a certain way; too much or the wrong type of iodine can create just as much havoc as too little. Food sources should still be moderated and can include seafood, sea salt and sea vegetables. The UK NHS range for the TSH (thyroid stimulating hormone) testing is extremely broad (0.4-4.6). Many clients present as euthyroid with bloodwork presenting as 4.6 and there is no further NHS testing of T4 or T3 unless the TSH is out of range. Therefore, private testing is easily available and thoroughly encouraged. I hope this article has helped a little with the complexity of thyroid conditions and that you have come to believe that whatever a client’s symptoms, a thyroid disease is rarely a diseased thyroid. Campbell, (2014) ‘Autoimmunity and the Gut’, Dis. 2014; 2014: 152428. Ann Pediatr Endocrinol Metab. 2014 Mar; 19(1): 8–12. Palinkas LA1, Reedy KR, Smith M, (2007) ‘Psychoneuroendocrine effects of combined thyroxine and triiodothyronine versus tyrosine during prolonged Antarctic residence.’ International Journal of Circumpolar Health, 66(5):401-17. Peatfield (2006) Your Thyroid and How to Keep it Healthy: The Great Thyroid Scandal and How to Survive It, 2nd Edition, London, Hammersmith Press Limited. Seck-Gassama, (2000) ‘Serum cortisol level variations in thyroid diseases’. Dakar Med 2000;45(1):30-3, Seck-Gassama, Ndoye O, Mbodj M, Akala A, Cisse F, Niang M, Ndoye R. Laboratoire de Biophysique et Médecine Nucléaire-Faculté de Médecine-Université Cheikh Anta Diop de Dakar-Sénégal. Wartofsky L (2013), ‘Combination L-T3 and L-T4 therapy for hypothyroidism’. Current Opinion in Endocrinology, Diabetes and Obesity. Oct;20(5):460-6. doi: 10.1097/01.med.0000432611.03732.49. Independent research at Glasgow University, published in the British Journal of Nutrition (2014) addressed the different behaviour of Seagreens Ascophyllum (~700mg/kg iodine) in the body compared to potassium iodide, a widely used iodine supplement. The study found that potassium iodide is highly bioavailable and quickly excreted, whereas the Seagreens Ascophyllum is less bioavailable and remains in the body for longer, being excreted in higher amounts from the body over a prolonged period. The body uses what it needs and gets rid of the rest. 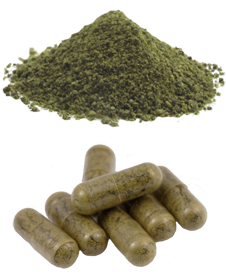 Approximately 33% of the natural seaweed iodone was absorbed in iodine deficient female trial subjects achieving iodine sufficiency with no adverse effect on the thyroid. Click here for more about Seagreens nutrition research. Combet et al., 2014. Low level seaweed supplementation improves iodine status in iodine- insu cient women. British Journal of Nutrition.